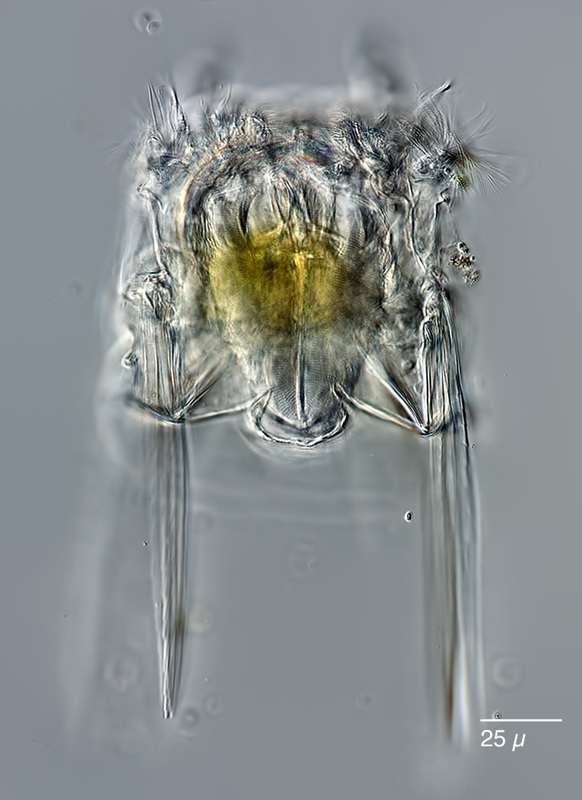 Observing rotifers for more than 15 years sometimes leads to finding some specimens that are not described in the literature (as far as this literature is available through libraries) or sources from the www. A problem of these specimens is that they are single discoveries, so the don´t have scientific significance and therefore may be considered the same status like discoveries of UFO´s. Up to now I had no chance to cultivate such specimens. Nevertheless there might be the faint chance that someone has seen similar creatures, so here is a list of these mysterious critters.